Go through these accent wall ideas if you are soon planning on painting accent walls in your home. If adding an accent wall to your living quarters is what you desire, read today’s post as we are about to showcase over the top feature walls, and see how gorgeous your living rooms can look when you add an accent wall to them. If you have a living room that appears plain and simple, and without any character, just add an accent wall in any corner, front or back of your sitting, and see the room getting transformed into a happy and extraordinary place. 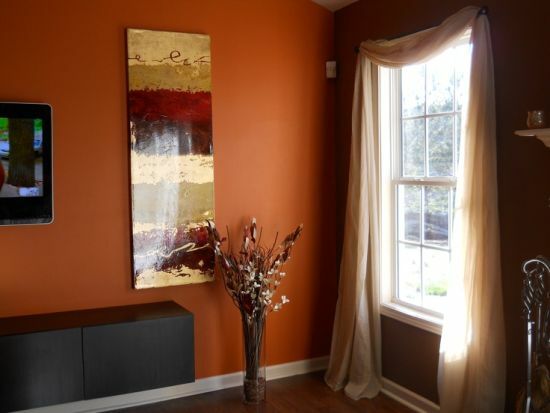 An accent wall is not that difficult to attain provided you have some guidance. While, a few may be created using bright accent wall colors like blue, grey, black, and orange, others may need you to approach professional decorators and architects. Lets take a look at some of the most stunning accent wall ideas that will serve your purpose. 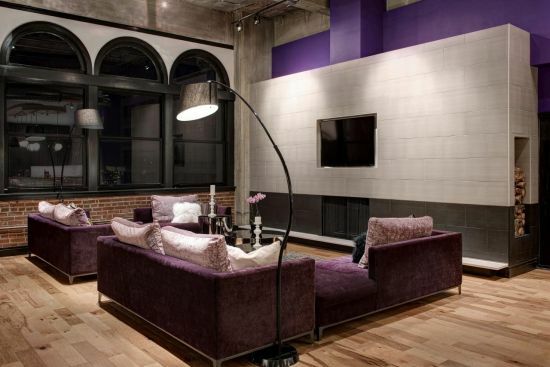 A purple accent wall can add a deadly look to your otherwise dull living room. You can create a purple accent wall simply by referring to hoards of websites that keep refreshing you about new accent wall color ideas posted by decorators, or by consulting friends and depending on your own creativity. Whatever you may do, chances are that with an accent wall that’s splashed with purple, you have 100% possibility of getting accolades from guests and everyone that comes to your house. If you look at the wall painting ideas shown below, you will see how magnificent all the purple walls look. Purple is a glamorous color and can bring freshness like no other shade. 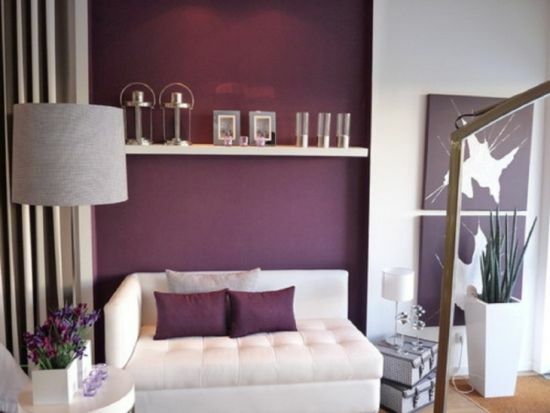 Try painting accent walls wholly in purple, or in combination with others to add more substance. Adding Damask purple wallpaper on your feature wall will definitely make your living room become the focal point of your house. 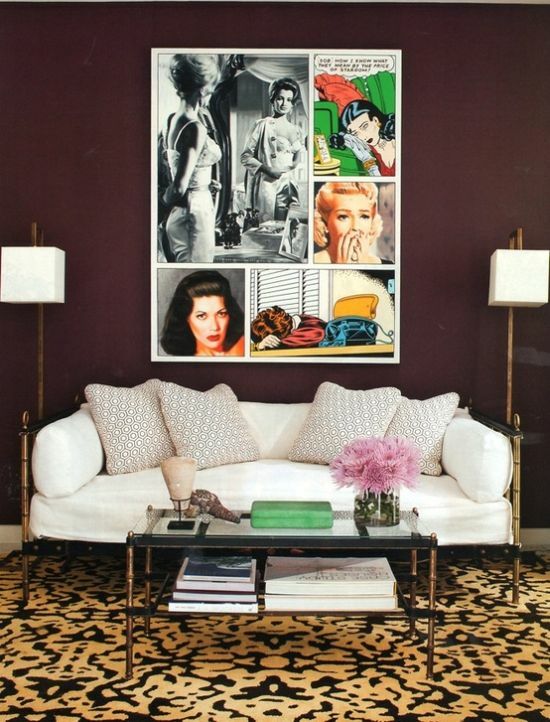 If you like portraying an artsy side of your personality, add on some trendy paintings on a purple accent wall. Floral purple patterns on feature walls look stunning too. Look at the most gorgeous accent wall painting ideas that have offered inspirational and beautiful geometric designs that you can select if you are planning to add some chicness to your feature walls. 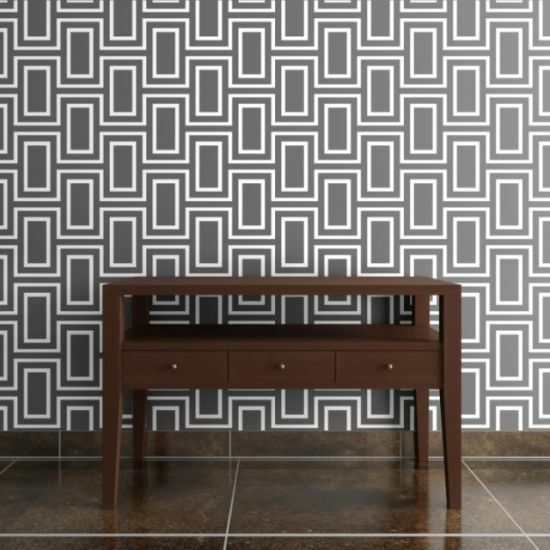 Geometric designs add more fun and boldness to a feature or an accent wall. You can choose any of the cool geometric patterns like those that are shown below. The feature wall of one living room has been painted with rectangular patterns in white with a grey backdrop and this offers a very pleasing sight. On another accent wall, you will spot triangles in haphazard manner on a grey painted backdrop. The media or the cabinet wall can have an accent wall in geometric patterns as well. 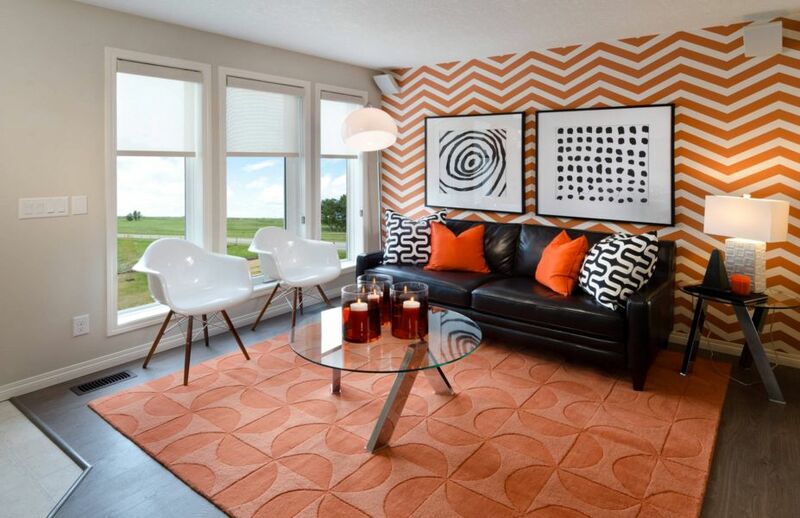 The orange chevron designs on the feature wall of one living room below takes your eyes off the other features in the room and makes it fixed on the colorful geometric wall. 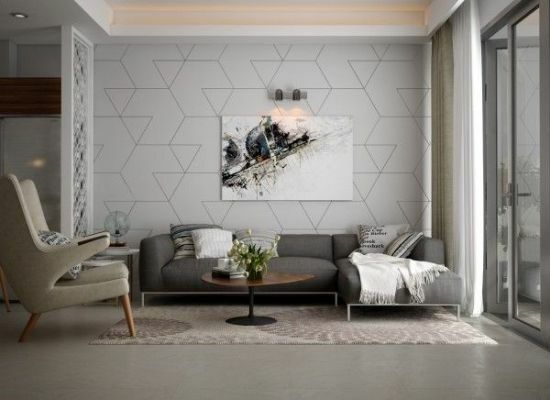 So, when thinking of creating an accent wall for your living room, try out any one of these awesome geometrical patterns and see how pleasant your room becomes in an instant! 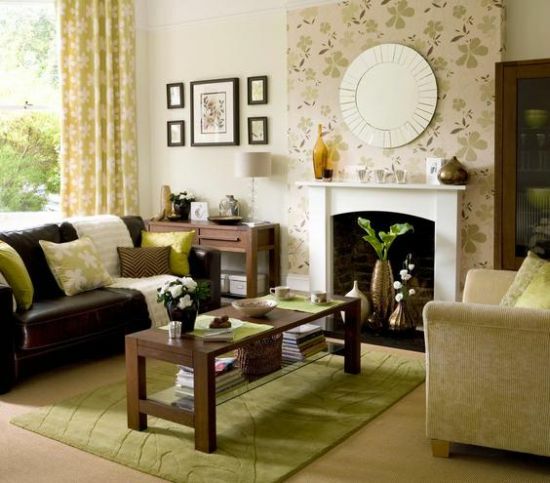 Your accent wall helps in creating a special look for your living room and adds a distinct style to its decor. 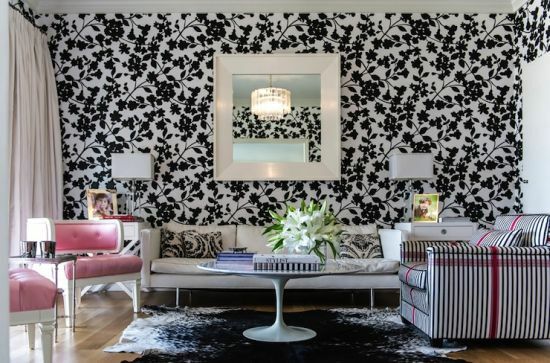 Accent wall ideas with floral patterns add freshness and are always popular. 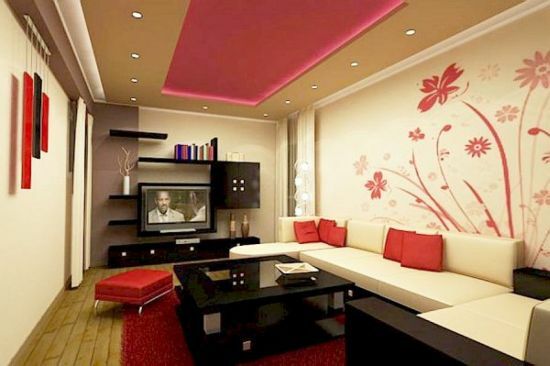 Flowers can be painted on a feature wall in different colors and add much femininity to a room. On looking below, you will spot many living rooms that have metamorphosed themselves into abodes of tranquility and calm. You can opt to paint big floral designs on a feature wall just above the fireplace, or can paint blossoms or small floral patterns as you like. 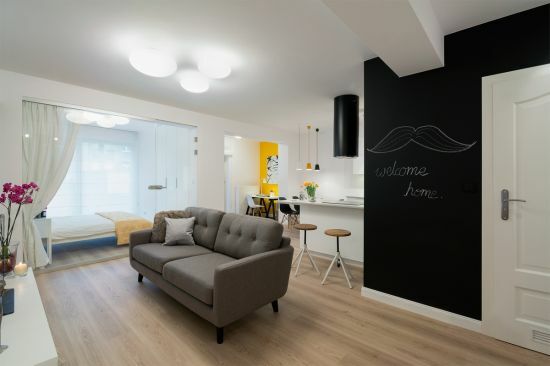 Though, we have presented a cute collection of these below, yet, the one that catches our attention is the brown choco feature wall projecting a big yellow floral design over it. The accent wall with red tall floral designs also looks very pretty. While, you may set your eyes on painting accent walls with flowers, we might also advice you to go in for floral wallpaper options when planning to create a feature wall for your living room. Wall painting ideas with chalkboard are circulating in most websites dealing with interior decoration as chalkboard walls are a new decor trend that most folks are following now a days. A feature or an accent wall will appear to be more chic and smarter looking when these are painted using chalkboard tones of charcoal black. The best thing about getting a feature wall in chalkboard is that you can create magical crafts on the wall all by yourself. Secondly, since chalkboard paint is such that it allows you to erase old designs easily, you have the freedom to create new patterns as you like on your wall. 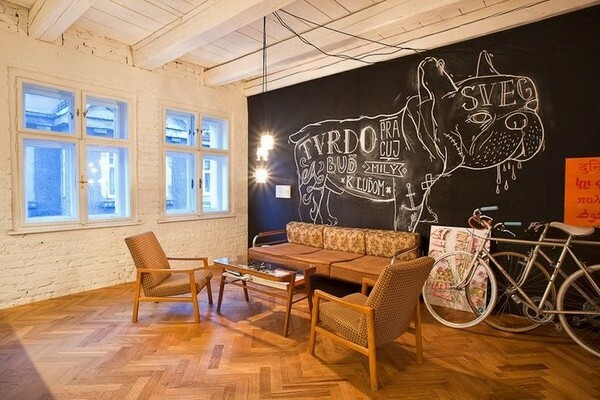 Below, we have showcased a few creative chalkboard accent wall ideas that will add luster to your living room interior. 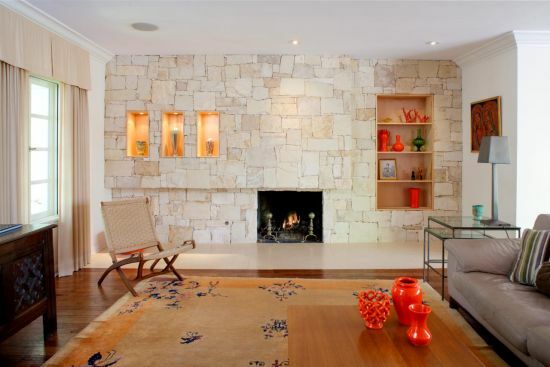 A feature wall can also be built out of stones to lend a dash of luxuriousness to the interior of a living room. 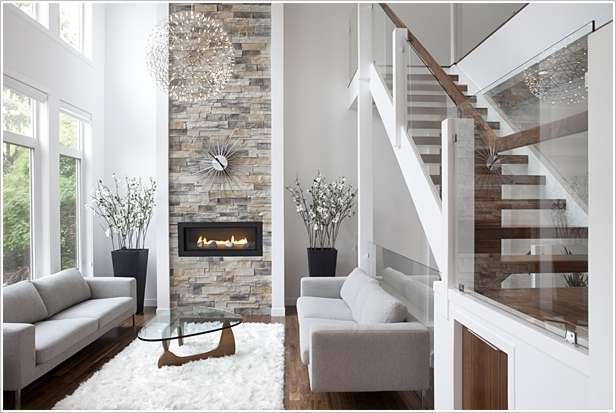 A stone accent wall can be made to look simple or you also have the freedom to create intricate designs of art work on it depending on your tastes and budget. 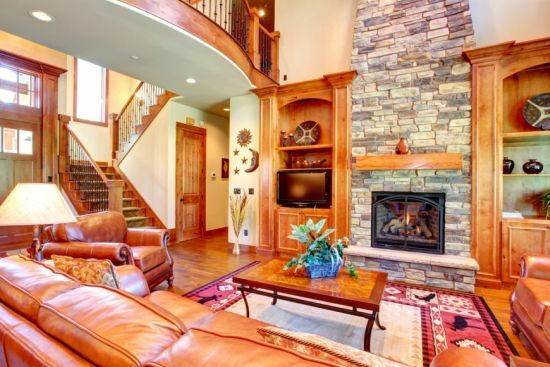 The best thing about using stone accented walls in your house is that you can go green and natural without wasting any of nature’s natural resources. Also, you can use very commonly and cheaply available stones to get a feature wall that speaks volumes about style and elegance. 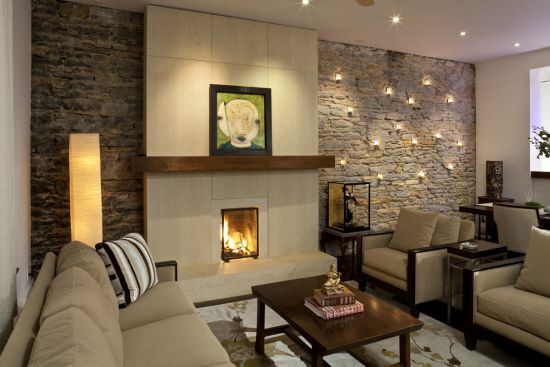 The accent wall above the fireplace too can have a stony look that becomes the center of everyone’s attention. Your feature wall can be painted using a plethora of accent wall colors that are offered by interior decorators, but there is one shade that goes far beyond comparison. 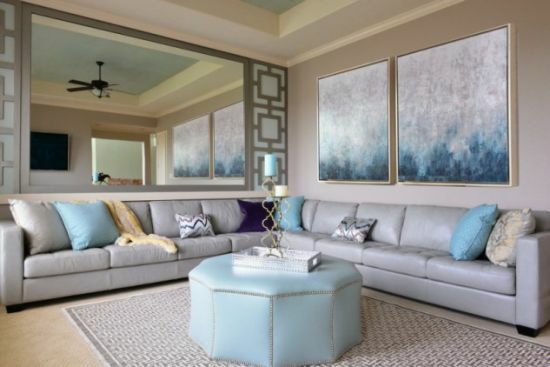 Yes, this color is blue and you can paint your accent wall with different tones of it and in a variety of patterns. Some people like to go full blue when designing their feature walls, while, others like to use other shades and designs to add more to the fun and look. A blue accented feature wall appears more visually attractive and calming than other shades. Blue also stands out among others, thereby creating a contrasting effect. Seen below are few of the best blue accented feature walls that we have handpicked for you. Scroll down and take inspiration from these! If there is one type of accent wall that can spruce up the style of your living room, it has to be the one that’s designed with 3D panels. 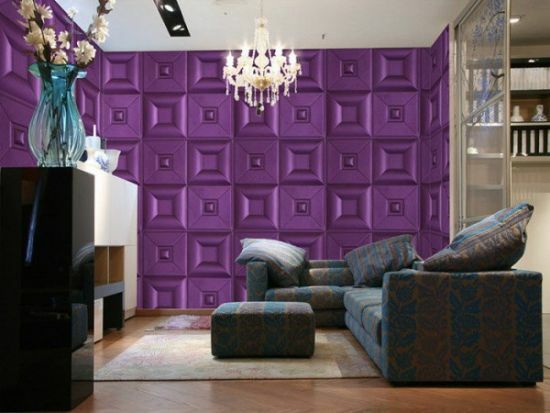 3D wall panels are the latest trend in interior design these days with different homes flaunting beautiful feature walls made of these in various shapes and colors. 3D panels are available in various textures as well. You can consult decorators and choose a whole range of new designs to perk up your feature walls. If you have a fireplace screened inside the accent wall, go ahead in fitting 3D panels that replicate the look of stones or tiles. Your media wall too can be designed as an accent wall that’s embellished with 3D panels in various tones. Painting accent walls is always an option when you do not want to embellish these with panels, or stones. 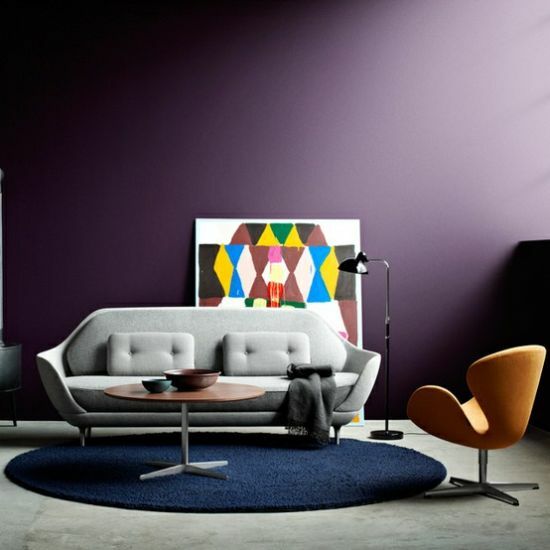 There are different colors that work wonders on a feature wall, and we have spoken about a few of them like blue and purple already to give you some idea. Now, we will be showing you an awesome collection of pictures that have featured living rooms with feature walls styled up with orange. 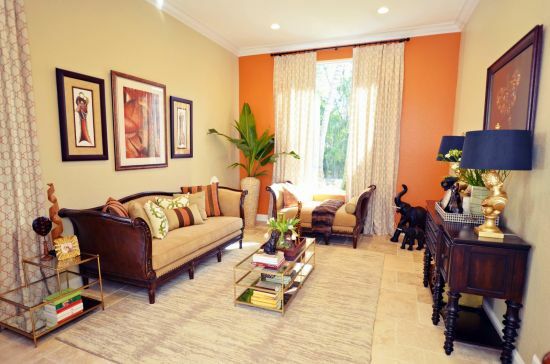 An orange toned wall will not just perk up your living room but will also add much warmth and freshness to its decor. There are various tones of orange that can be used for designing an accent wall along with intricate patterns. A water color accent wall is a new addition to interior design with many experimental projects flaunting feature walls that are painted with various fresh shades of water colors. 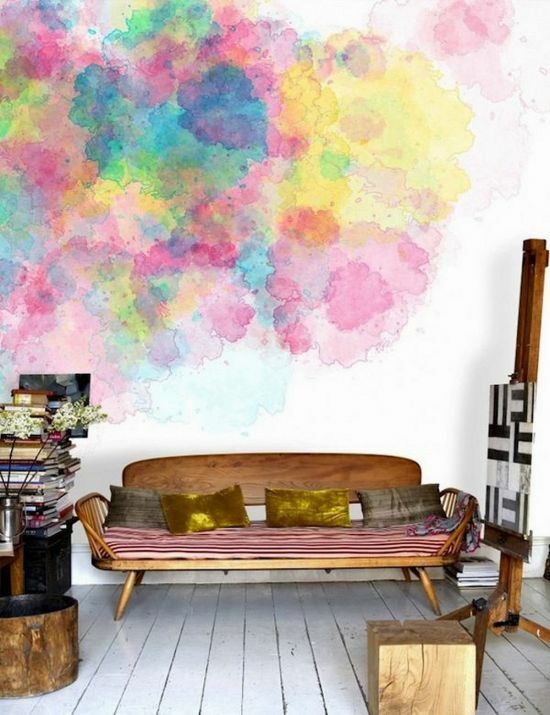 Water colors add a unique charm to your wall and look very perky and stylish. There are umpteen number of artsy designs you can craft on an accent wall painted with various water colors. 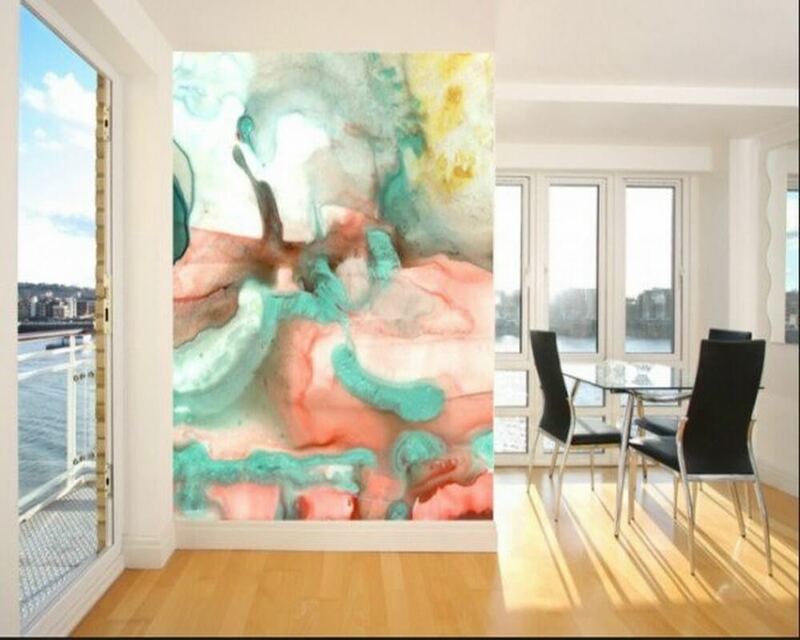 If you want, you can create some life infusing abstract art on your feature walls to spruce up your decor. From floral, to geometric to intricate designs, there are hundreds of patterns to paint with bright and artistic water colors. Looking at the current popularity of this trend, we are bringing below an inspiring collection of water color painted feature walls for you all. Enjoy! Who said that the humble wood must only find place in your furniture and ceilings? Now a days, most interior decorators are taking up projects whereby their clients are asking them to add feature walls designed with wood. If you like a warm living room that exudes smartness, there is no looking at anything else other than wood in your interior. 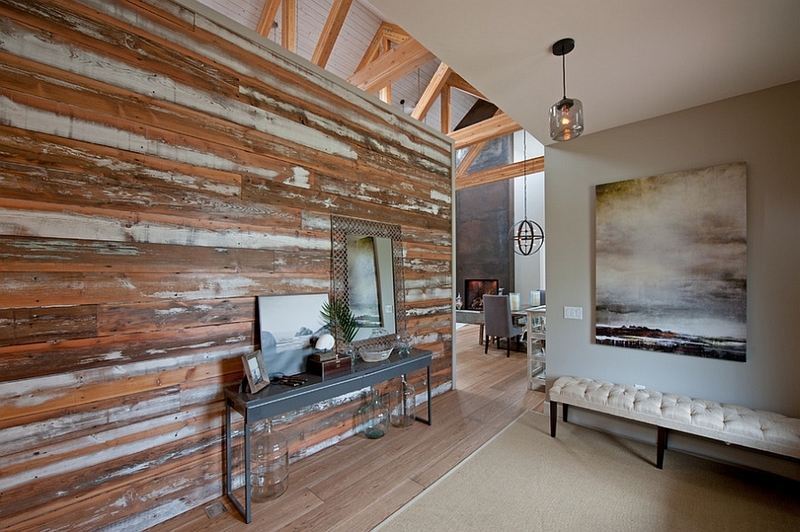 Your media wall can be beautified with a wooden panel and can be converted into an accent wall. Wooden pallets too can be used on an accent wall to create a rustic look, or else spruce yo your wall with wooden logs to create a unique accented wall. Like wood, there is another trend that’s catching up fast with many decorators, and that would be mirrored accent or feature walls. There are a few reasons why one should go in for a feature wall that is mirrored or has elements of it. 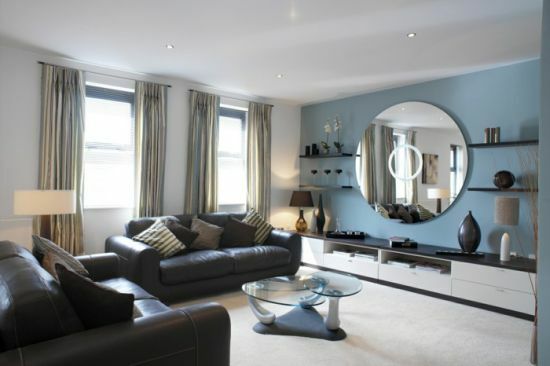 Firstly, mirrors create a feel of a wider space and can make a room look spacious and huge. Secondly, the beauty of mirrors is unparalleled to any. For a simple or a dull looking living room, you can have an accent wall that is embellished with a huge mirror or chunks of it. One can also create intricate designs using mirrors and artwork. 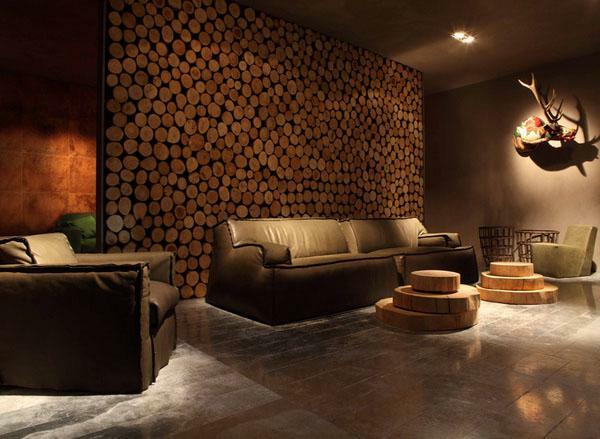 Having an accent wall in your living room is a must if you are a connoisseur of style and believe in fine living. 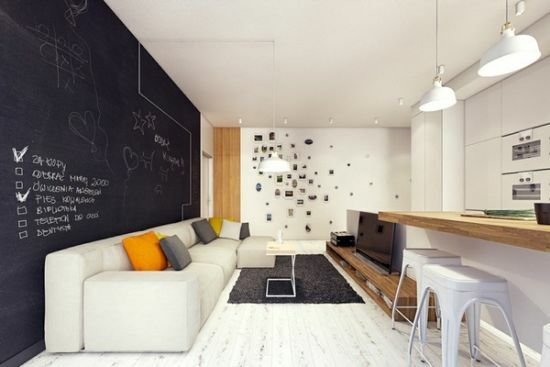 Feature walls help in breaking up the monotonous look of a room and also create a zone that’s most noticed by all. It can become not just an eye candy for your guests, but can also enlarge and enliven your decor. 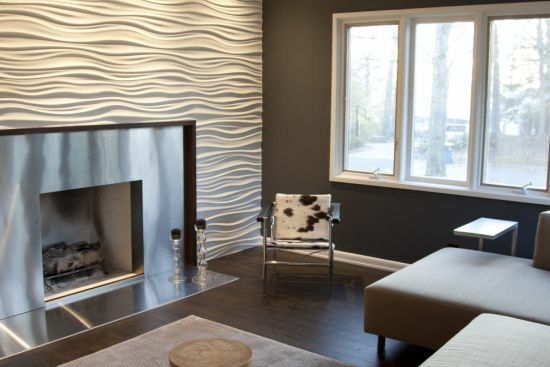 Choosing the right type of an accent wall can be a tricky thing, but if you have the guidance of specialists, you can achieve the type that you want to have in your house. Check out these gorgeous accent wall ideas for more inspiration!